Shauna & Dennis had their special day on the 23rd of November. The day’s wedding photography coverage started for us capturing “the guys” getting ready. The scenic Coastal city of Glenelng was where it all started and there was so many places to shoot. But at the back of our mind was heading out in time to where “the girls” were getting ready. So we made the most of the time available to us and rushed off. Shauna and the girls were sipping Champaign when we got to her place. Relaxed, excited and full of cheer, Shauna was in her element and looking forward to walking down the aisle. Uniquely precious are the moments when a bride walks down the isle, holding onto her father’s arm and then sets eyes on the man of her dreams. Despite the countless number of weddings we have covered in the past, these moments are so very precious each time and make our work so much more pleasurable. It was no exception with Shauna & Dennis and every moment was cherished to eternity through our lens. After the church service, it was off to the city. We had loads of fun and laughter as we photographed the bridal party. 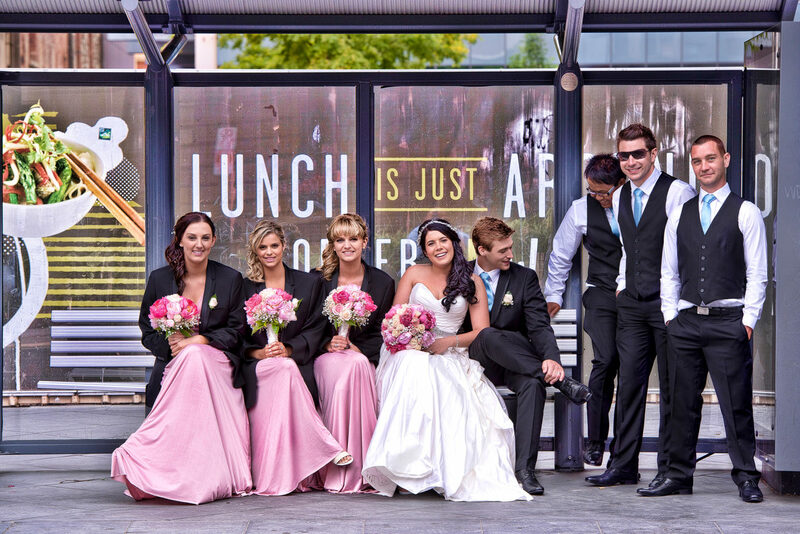 Their wedding reception was held at the Wine Centre Adelaide. Another memorable occasion for us and new friendships made. These precious moments were captured by Duncan & Ajanie from Dream Team Imaging. Wine Centre Adelaide Wedding Photography. Big fan of your work and always look forward to new posts. Love these pictures. You have a way of capturing emotions. WOW. Beautiful pics as always.